welcomes You to the short English version of the site. Cattery is registered at feline systems CFA (USA), TICA (USA) and RUI (UA). The name "Shafran" was not chosen by chance. Translation of the title of the most expensive spices, incense, medicine, dye is very simple. In Arabic, "shafran" means "yellow". His birthplace Anatolia and Southwest Asia, and India. According to Buddhist tradition, the saffron was born in Kashmir and was brought, of course, from the heavens. 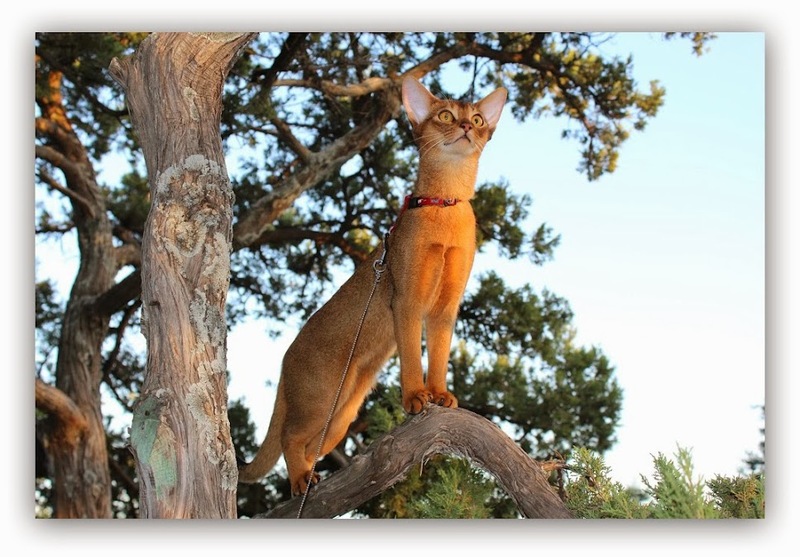 And abyssinian cats - sunny, gentle creations, something resembling its elegance and grace of this beautiful flower. These cats are from Abyssinia (ancient Ethiopia) - warm sunny country with an ancient history. Probably abyssinian cats were the archetype of the goddess Bastet. One day you saw abyssinian cat, and its image forever imprinted in the memory. 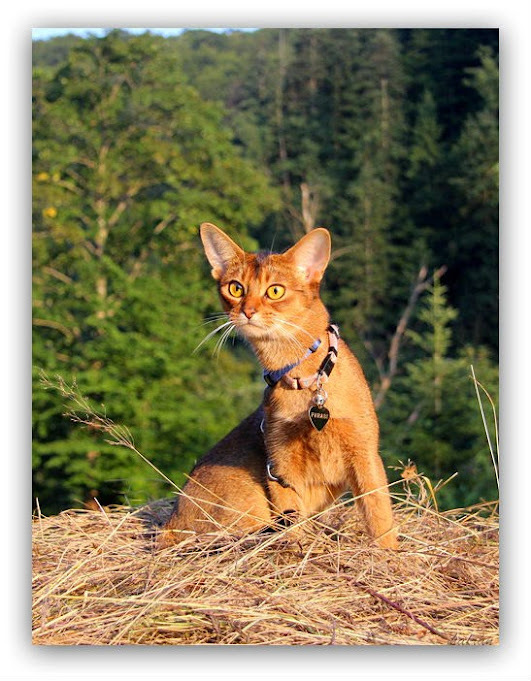 Proud, noble, gentle movements, curves of the body, as well as good humor and radiant smile, yes, that smile, as this expression, oh, muzzle, and only wants to be called - that's only a small part of what represents the abyssinian cat. Add to this the extraordinary ticked color, large, like alert, ears, almond-shaped eyes and long, like a ballerina, legs, blunted feelings of fear, playfulness, sometimes thoughtful, and it becomes clear why these cats are called mini-cougars, clowns cat world, children of the sun. The cats of our cattery live at home. Accustomed to good manners. Breeding animals participating in exhibitions from time to time travel. In the breeding program involving cattery cats, having in their pedigrees animals from the U.S., Japan, Russia and Europe. For us the main thing - that the animal was not only beautiful, but also healthy. Cats vaccinated in a timely manner. In the warmer months, adult cats are periodically walk on the nature. Our cattery geographically located in Kazan and Moscow - Russia, and Kharkov, Sumy, Kiev - Ukraine. If you are interested in purchasing an abyssinian kitten, then please read the rules of maintenance, care and feeding of your future pet. Kittens are moving to new home no earlier than three months of age, vaccinated, well-mannered, have a veterinary passport, pedigree, transfer / slip. With the future owner will draw up a contract of sale animal. 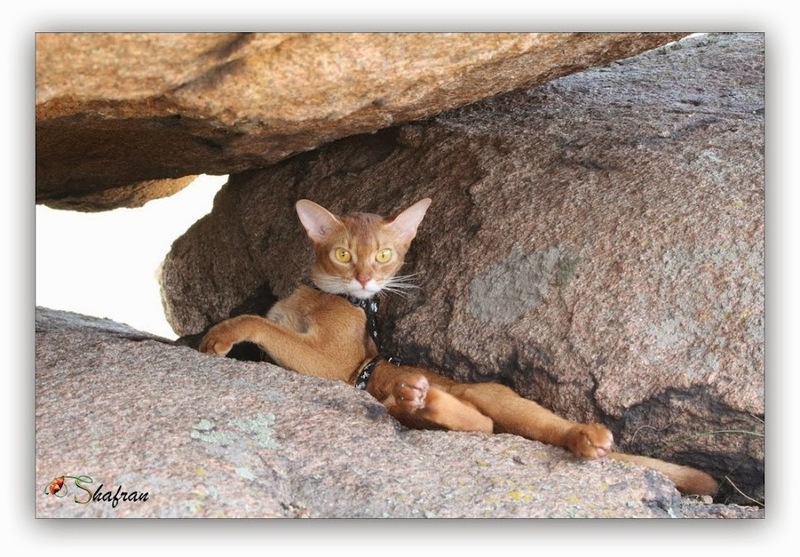 Enjoy your viewing site and dive into the world of Abyssinian cats.